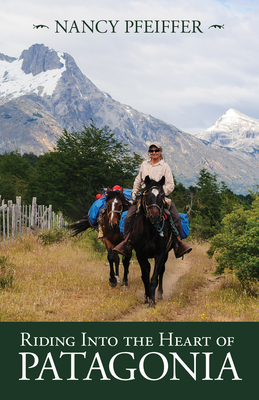 As a novice horsewoman, Nancy Pfeiffer took off across Patagonia alone on horseback. Over the next two decades and 3,000 kilometers of rugged horse trail, the hospitable people who live there took her in, and Patagonia slipped silently into her soul. This is a story of a rapidly changing cultural landscape. It is a tale of a lone woman and a horse, on the most ancient of all journeys. A lifelong adventurer and outdoor educator, Nancy Pfeiffer has traveled from Antarctica to the Arctic Ocean. Her published works range from poetry to scientific research, exploring subjects from the joys and frustrations of building a house as a single woman to mountaineering for paraplegics. Nancy lives with her husband Fredrik in a cabin outside Palmer, Alaska.